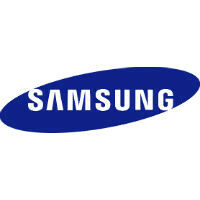 A new tweet from evleaks reveals a number of model numbers for unannounced Samsung devices. According to the master leaker, the Samsung Galaxy S5 Prime, the rumored premium version of the Samsung Galaxy S5, will have a model number of SM-G901 in China. It will be offered in that country in blue, black, white and gold. This comes after a tweet the other day from Mr. Leaks revealed that the Korean version of the same phone would be the SM-G906. Just yesterday, we passed along the rumor that Samsung would be offering a pair of sequels to its large-screened Galaxy Mega line. One would be 5.1 inches and the other would carry a 6 inch glass. That compares with last year's models which included screens of 5.8 inches and 6.3 inches. The model numbers for the Samsung Galaxy Mega 2 include the SM-G750A (AT&T), SM-G750F, SM-G750H, SM-G7506V (China Unicom), SM-G7507 (Taiwan), SM-G7508Q (China), SM-G7508V (China Mobile), and the SM-G7509W (China Telecom). While the tweet says that the Galaxy Mega 2 will be offered in brown, black, and white, we are still unclear on whether this is the 5.1 inch or 6 inch version. Indian shipping site Zauba listed the SM-G750F as being a 6 inch model, while the SM-G750H was listed as sporting a 5.1 inch screen. According to evleaks, the Samsung Galaxy S5 Active will be available from Sprint in blue or black, with a model number of SM-G860P. The same phone will be known as the SM-G870A for AT&T, and the SM-G870W for Bell Canada. AT&T's variant will be available in dark green, greenish blue, ruby red, and titanium silver. Lastly, the SM-R382 is a new Gear wearable that will be offered in black only. This could be Samsung's answer to Google Glass, called Gear Glass. Recently, we told you to expect Samsung to unveil this in Berlin during IFA 2014. If you've ever watched Dragon Ball Z, it looks a bit like the "scouter" worn by some of the characters on the action cartoon. GS5 Active? Wasn't original model supposed to be durable and waterproof enough that they wouldn't need Active? Just throwing this out there, I'm over iOS and my iPhone. I'm eligible for upgrade and am just going to get a regular S5, big improvement and better than waiting any longer for this S5 Prime. Why not wait another month or two? You can then choose from the G3, S5 Prime, etc. The current crop of 'flagships' are really mostly the same as year old phones. Personally, I wouldn't waste an upgrade on them. Yeah I'm tempted to wait but looking forward to a new phone too. I'll give it a month or two to see what happens. Waiting isn't fun, that's for sure :( In less than two weeks, you'll know if the G3 is something that appeals to you more than the S5. And there might also be some better info out on the S5 Prime. In all honesty. Any phone with an s800 and above sock is okay for the next 2 years. If you test an s5 with a note 3 plus other flagships the difference is not noticeable. Same applies to iPhone 5 and 5s. Just get one of theses phones and be happy. You will be fine with either one. hahahaha! :D galaxy s5 etc, galaxy s5 etc and galaxy s5 etc and galaxy s5 etc. oh! and did i mentioned galaxy s5 etc? :P come one! prime would be nice to hear about samsung. i might wait for it but hope it doesnt makes me buy Z2 like the orignal s5. Evleaks has become nothing more than an unofficial press release nuisance. and the only reliable source to lay your bets on, I always get the feeling that these companies actually send something out to evleaks to generate hype in some cases. It's all backchannel marketing/promotion. Otherwise, he would have specs and details on everything, not just a picture or codename or other small piece of information. I hope that SAMSUNG doesn't continue or start making prime versions of it's flagship. Also Dragon Ball Z is not an action Cartoon it's ANIME.